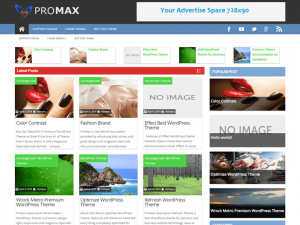 ProMax Theme is best WordPress theme design for adult blogs and adult cam/tube sites. Full features and SEO Optimize. This WordPress Theme can easily adapts on your mobile and desktop or any other device. Theme comes with lots of customization and connect social media like Facebook, Google+, twitter, YouTube and Adsense ready It. Now theme support WooCommerce plugin. This theme is available for free with any of our hosting plans that support WordPress.